Excellent price, super-fast shipping. Lucky Gunner is the best! Received ammo timely as usual. Shot 120 rounds all performed well. At 100 yards with my AR10 shot consistent 1' to 1.5 groups. At 560 yards hit 12" target with 4 out of 5 shots wind was about 7 mph group was about 4". I believe it was the shooter not the ammo! 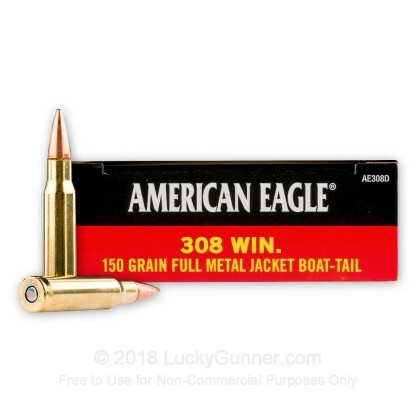 Will buy again, good ammo , great price when I purchased. 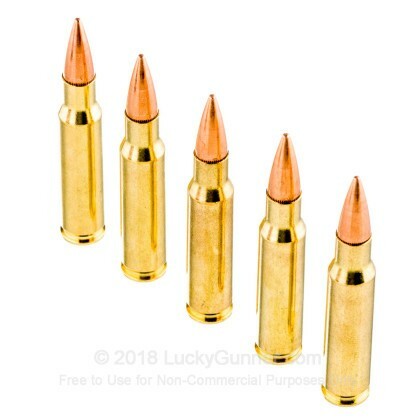 Great performing ammo at a good price!! Over all very good buy. have had great results! not just at a hundred but me and my buds use it a lot when we go out to 700 performs great! Second time I've ordered this ammo from LuckyGunner. Ammo burns clean and is sufficiently accurate. LuckyGunner's service and turnaround is the best in the business. This is a quality round with decent accuracy at least to 100 yards. Have to find longer range to test further out. 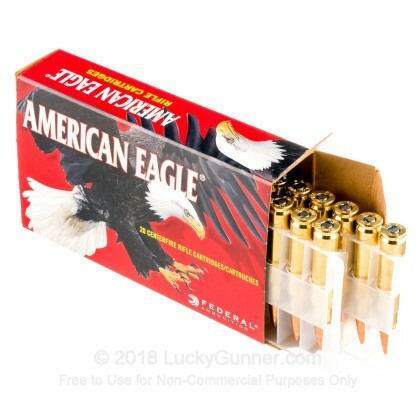 I buy this ammo for my son to use for whitetails from his T/C Venture. It is serious deer medicine and afforable enough to buy plenty for him to target shoot with. 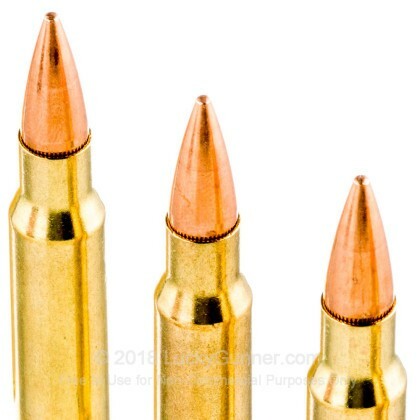 You buy a .308 for a 14 year old and you better expect he's going to want to shoot it plenty!! This some fine performing ammo as far as reliability and accuracy and at these prices I can afford my boys appetite for shooting. Good ammo. Sighted in a new 4x12 Nikon with this ammo. Was getting 3in groups at 100 yards. Overall ammo was very good, no FTF, FTE, groupings were ok. 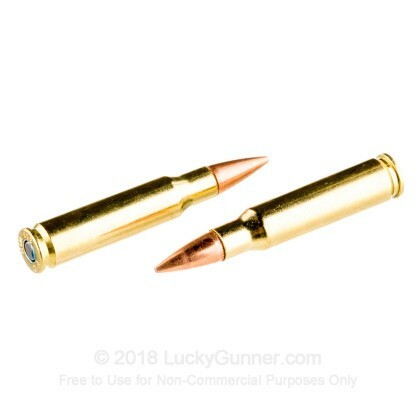 This ammo is clean burning ammo and accurate. 3 in. groups at 100 yards with a 4x12 scope. 308 ammo preformed well no miss fires. Over all very good buy. 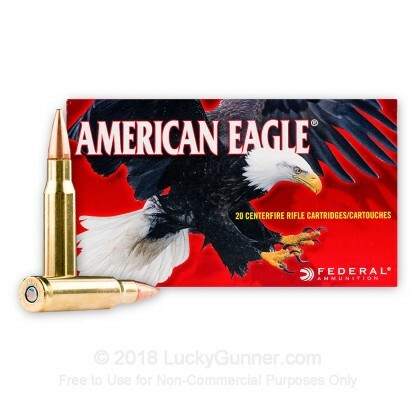 We also have this 308 - 150 gr FMJ-BT - Federal American Eagle - 500 Rounds ammo in stock in a bigger quantity.